STARTING MARCH 1, 2019 we will be offering GUIDED SPRING ICE FISHING again!. 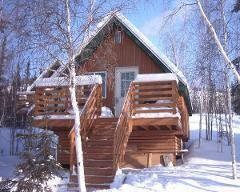 Let the sled heads in your family or group sled out to the EASTER WEEKEND ICE FISHING TROUT DERBY and meet them out there by flying out and back on a ski plane. Look forward to a great family friendly event! Consider spending the weekend. 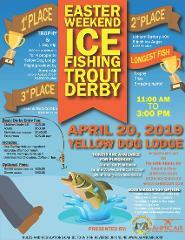 Come by snowmobile, ATV, or Skiplane to the 2019 Easter Weekend Ice Fishing Trout Derby at Yellow Dog Lodge on Graham Lake. This is a "Family Friendly" event come out and play with us, maybe even win a prize!